Seaside Los Jameos Playa Hotel is a best seller on the Irish market with an excellent reputation for its cuisine and service. 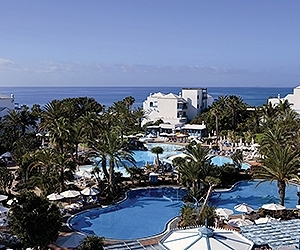 It is built in Canarian style with a welcoming open plan reception area. This spacious, modern and attractive hotel is set in carefully tended gardens. This property will appeal to all types of clients.